The role of the Dryland Instructor is one that demands hard work, creativity, group control and an enthusiastic attitude towards children. The Dryland Instructor is required to follow a comprehensive teaching outline and ensure that all required components of the Dryland program are taught during the course of the week. The Dryland Instructor works directly with a Hockey Counsellor and a section of children. Instructors are expected to teach classes that are age appropriate, productive, and fun. This includes being prepared to teach in a variety of weather conditions (Rainy day programs). Instructors are responsible for teaching campers the safety requirements of each program ensuring that all participants use equipment properly and follow safety standards. 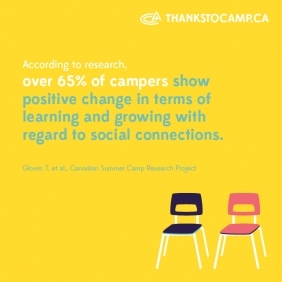 This includes providing care to our campers that reflects the standards and guidelines of HOC's Child Care Practices. Monday to Friday - Instruct 4-5 one hour dryland periods for camper groups of 20-36 ranging in age from 7-16. Provide Dry Land programming and instruction according to the curriculum designed by the Hockey Director, under the direction of the Head Instructor. Provide lobby and/or outside supervision for campers at the arena before, after and in-between ice sessions. Assist with skate tying for the younger sections when required. Assist Sunday Check in & Saturday Arena Showcase Game and Check out. Attend a weekly Hockey Staff meeting with Hockey Director Keith Murray, as well as a General Staff meeting with the rest of the camp staff Thursday night. Wages: Summer wages range from $2,200 – $3,600 per summer depending on qualifications and experience of applicants. Room and board are included. Must have a strong hockey/physical fitness and educational background. Genuine interest in teaching hockey skills, fitness and recreation to children and teaching/instructing experience a definite requirement.